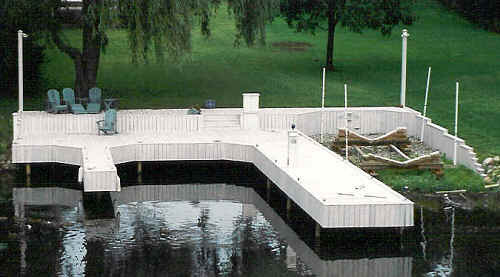 RAM of CNY, Inc. offers custom-built docks, shoreline decks, and removable aluminum standing and floating dock systems. 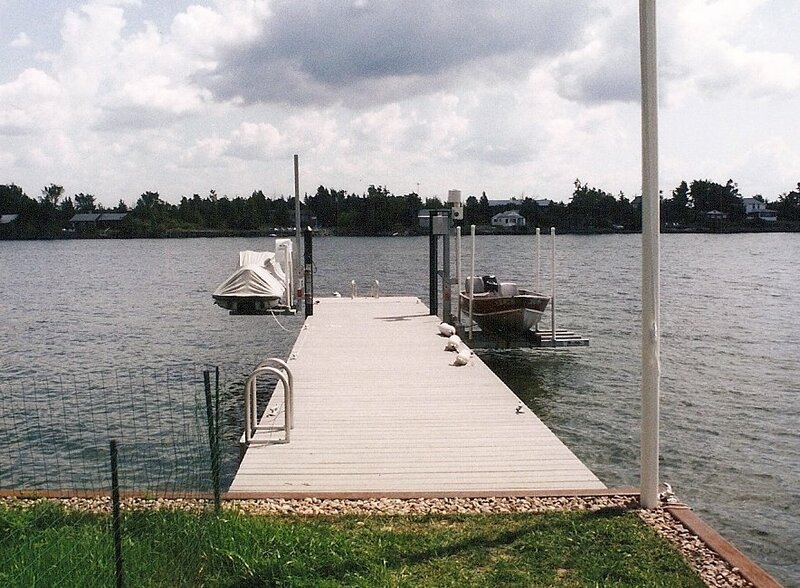 We design and construct fixed docks using steel pilings and steel I-beams as the main framing components. 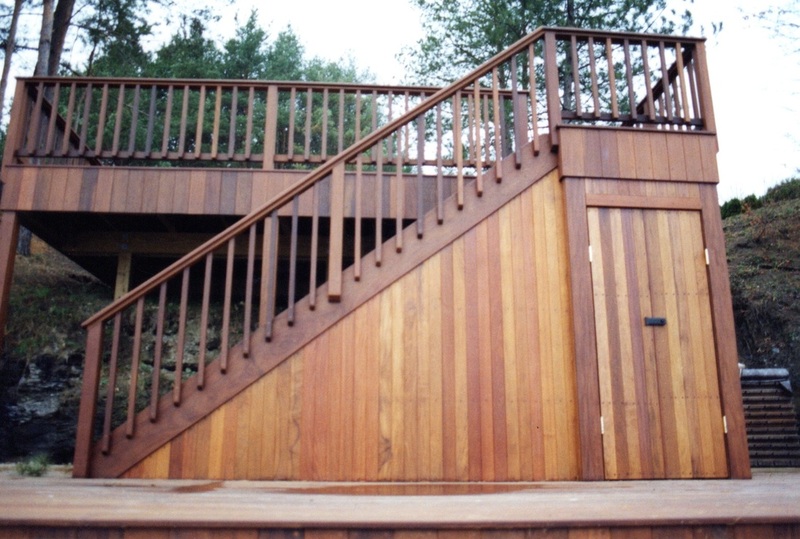 We offer several options for decking and trim, such as treated southern yellow pine, various composite lumbers, concrete, and aluminum decking. 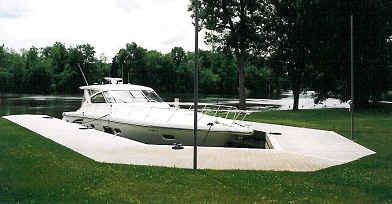 Each dock is custom-designed and constructed on-site. 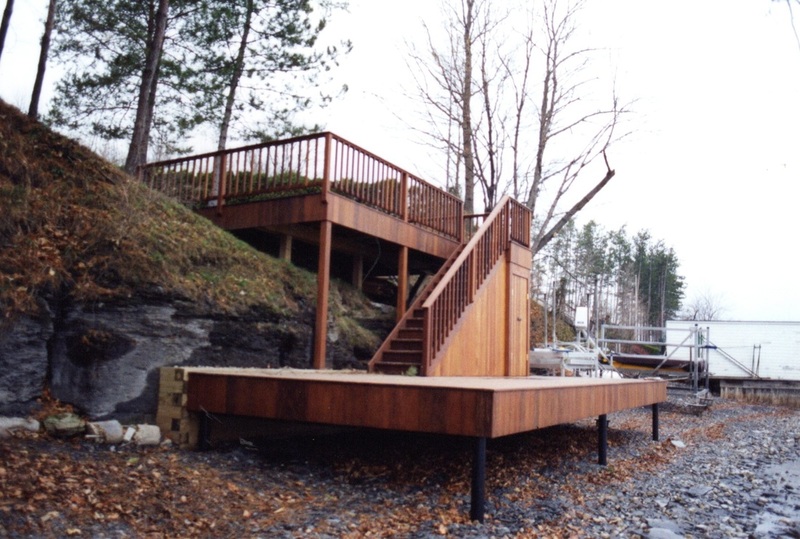 Our steel-framed docks are designed and constructed to withstand the destructive forces of waves and ice, and to utilize the unique features of your shoreline property. Contact us for more information on these docks. We can have these shipped directly to your property, or we will deliver and install them.